Are you ready to pitch your idea or business to investors, partners, management or employees and need an investor presentation to present your proposal in a clear and concise manner? I have helped hundred of clients develop their businesses by writing business plans and investor presentations to present to banks, lenders, venture capital, equity groups, private family offices and investment funds. My investor presentation writing & development services are proven!! Why Investor Presentations Are Important. "A picture is worth a thousand words" is a quote you may have heard before and it holds true when presenting your business idea to investors. Investor Presentations allow potential investors to see what you are talking about instead of hearing it or reading it. An solid investor presentation paints the picture of the founder or executive whom has created the vision set forth. 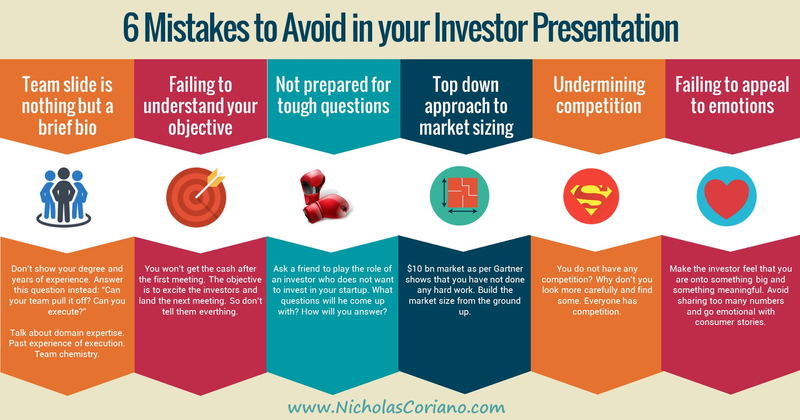 The Process of Developing an Investor Presentation for Your Business. Contact me and we have a 5 minute to 15 minute introductory conversation (this can be done on the phone, Skype or through email). You let me know exactly what you are trying to accomplish and ask me any additional questions you may have about the process or about me. I will follow-up with a proposal and an optional invoice to get started. Once paid we have our first conference call. Again this can be done via phone, email or skype. There are options to meet in person if you are in the New England area. In the first conference I get everything I need to develop your investor presentation. I go to work on your investor presentation. On day seven I deliver the first half of your investor presentation and you remit the second and final payment. We review the first half of the investor presentation to make sure I am moving along as you wish. On day 14 I deliver the final investor presentation ready for you to present in front of investors. Sometimes potential clients ask me if I can get the investor presentation done faster. If clients pay the full amount upfront I deliver the final project in 7 days. Faster times are possible depending on my availability. Text (203) 685-0346 or email me to find out if I have availability.